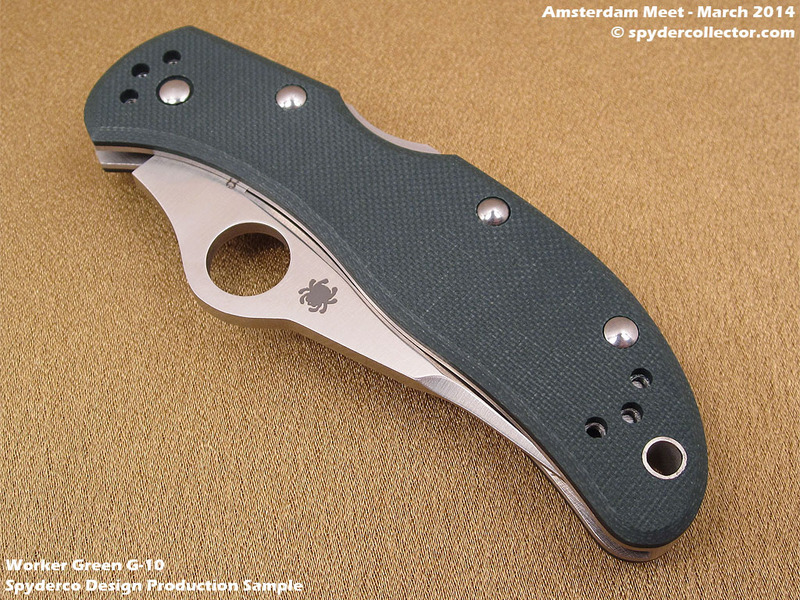 The last knife I can show you from the Amsterdam Meet is this wonderful Worker sprint run knife. 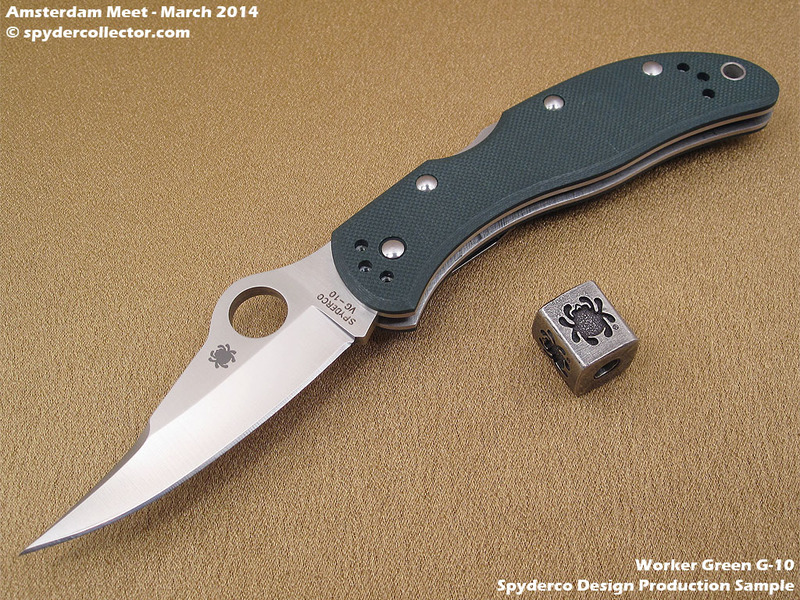 I missed out on the Worker so far; the last sprint came out just before I became a diehard Spyderknut. 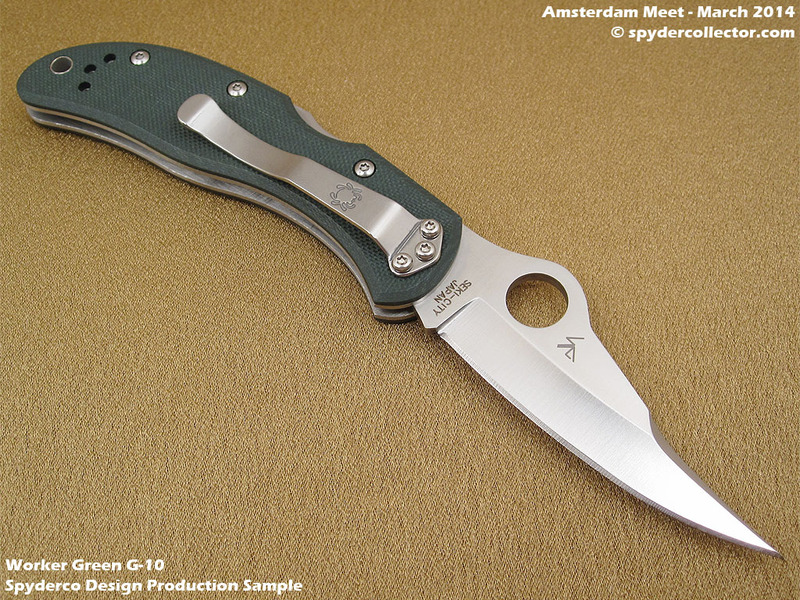 However, I’ll do my best to snag this sprint run in green G-10! 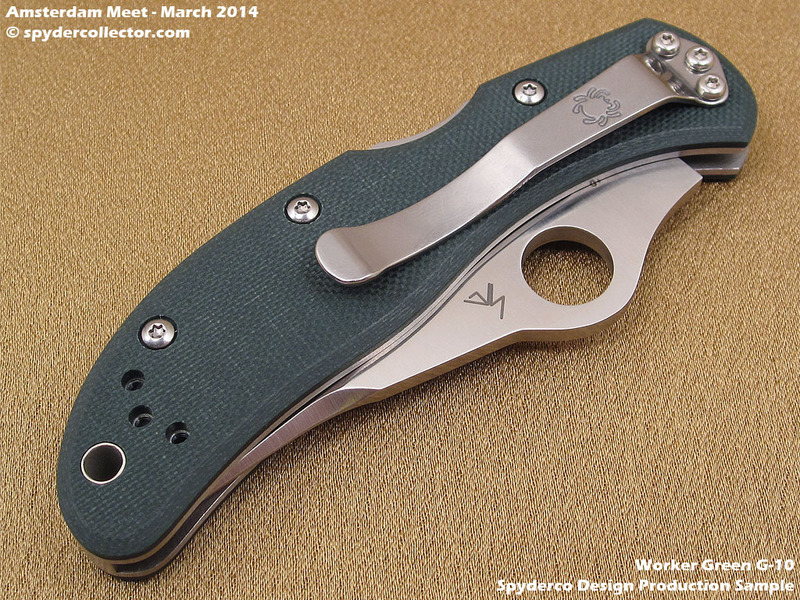 The Worker is an original Spyderco design, and the many years of production-experience are evident in this piece. The action was smooth as glass and the lock-up seemed ‘native 5-tight’ to me, i.e. rock solid. 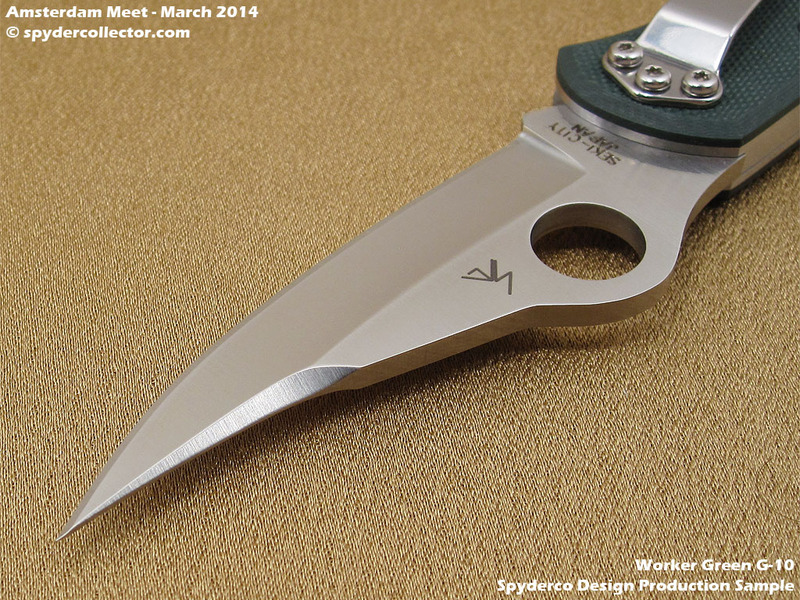 This entry was posted on Thursday, March 13th, 2014 at 8:09 pm and is filed under Prototypes. You can follow any responses to this entry through the RSS 2.0 feed. You can leave a response, or trackback from your own site.